I’ve come up with some great ideas using quinoa over the past few months. It is a wonderfully healthy and versatile grain and can be used in several ways. What I truly love about quinoa is that you can create so many flavor combinations dependent on the vegetables, spices and herbs you choose. 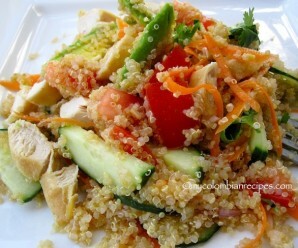 Here are some of my quinoa recipes: Quinoa Chicken Salad,Quinoa Salad with Avocado, Tomato and Cucumber, Quinoa Salad with Pineapple, Mango and Avocado. 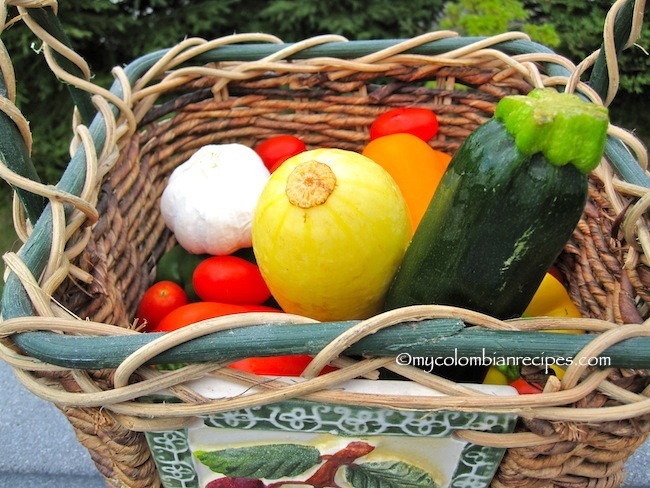 The roasted vegetables in this recipe added a terrific flavor and texture. It made for a delicious side dish, but you can also serve it as a main dish for a meatless meal. re-heat the oven to 350F. 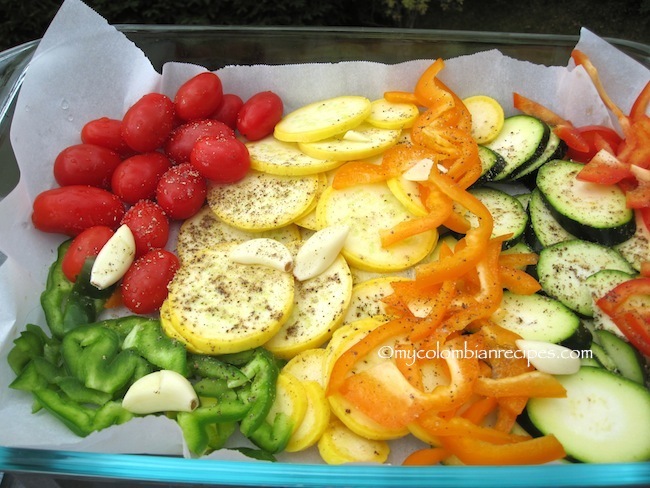 Put the vegetables in a baking dish lined with baking paper to prevent them from sticking. Drizzle with olive oil and season with cumin, salt and pepper. Use your hands to mix well, then roast for 20-30 minutes. Rinse the quinoa in a fine-meshed strainer. 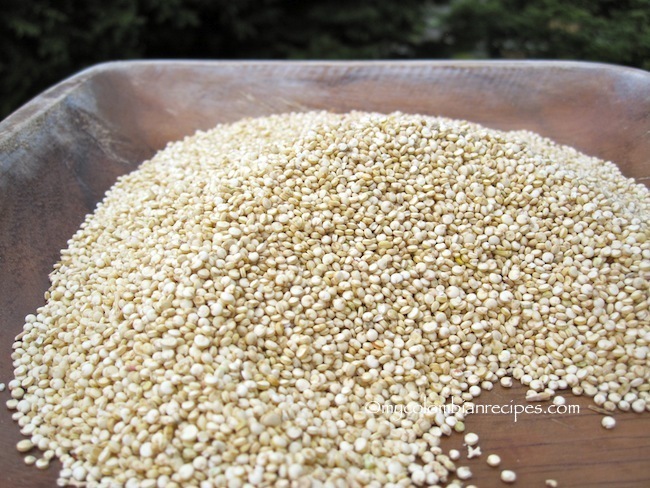 In a medium saucepan place the quinoa and 4 cups water until boiling. 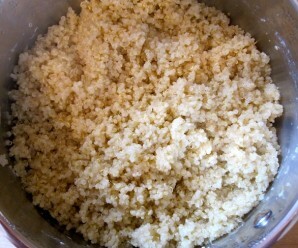 Reduce heat and simmer until water is absorbed and quinoa fluffs up, about 15 minutes. Set aside. 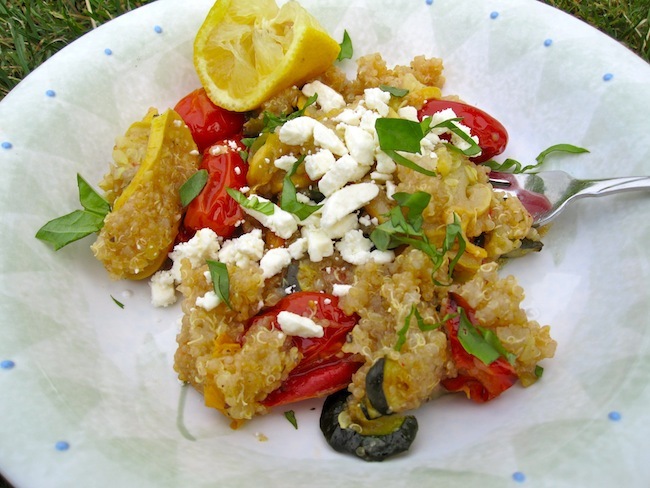 In a large mixing bowl combine the quinoa and roasted vegetables. Adjust the seasoning, add lemon juice, and sprinkle cheese and parsley on top. Serve at room temperature. 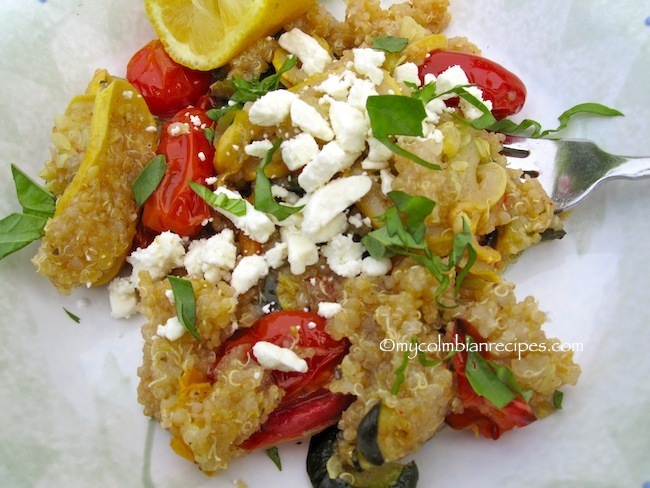 I love quinoa…so many wonderful ways to use it! Looks so good with the roasted vegetables, great idea. I love the flavors in the dish, especially topped with cheese! yum! looks so delicious with those roasted vegetables! Great recipe! 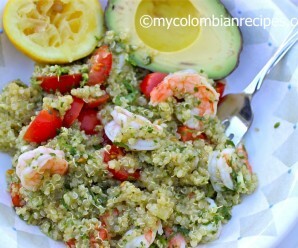 Check out my video on how to cook quinoa! Quinoa has been added to my pantry. You did a nice job on this dish. I am sure your veggie husband enjoyed it. 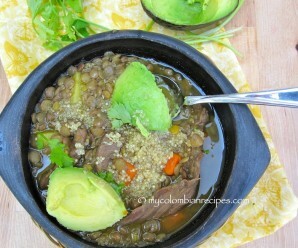 Made this dish for lunch and it was excellent… lots of great tastes…. A good one to pass around. was a tad too small to loop around and tie.